What does Goodyfull specialise in selling? We specialise in organic wholefoods. However the focus of the company is more about providing people with the tools they need to make positive changes in their lives, and that is why we also run study days and seminars on nutrition, exercise, mindset and healthy living in general. Anyone with internet access can buy Goodyfull products from our website, Amazon or other third party online stores. What inspired you to create a business that focuses on selling sachets of flour, seed mixes and cocoa powder? I had been using different ‘superfoods’ for a while, when it struck me that I should create a brand of my own. The idea quickly turned into one which would concentrate, not just on superfoods, but on promoting a happy and healthy lifestyle, whilst also sharing the tools that are necessary for people to make the changes they've identified. The idea for Goodyfull has been growing ever since and I hope it will never stop. For someone who hasn't purchased from you before and is indecisive about what to buy; is there a particularly popular one you can name? Chia Seeds are very popular because they are very versatile and do not have a ‘taste’ of their own. For that reason they can be thrown into any dish, dessert, smoothie etc. The only thing that will limit you is your imagination. 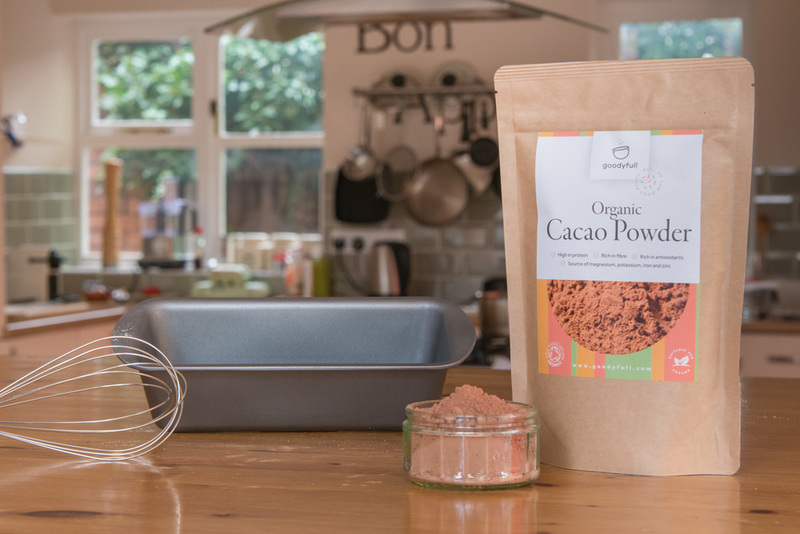 Also, if you like baking, Cacao powder is a great alternative to other sugar laden cocoa that's readily available. Is Goodyfull owned by, or in partnership with, another company that tests on animals or sells non-vegan products? No. Goodyfull is a privately owned startup. Tell me a bit about yourself before you launched Goodyfull? I was a standard 20-something guy enjoying a marketing desk job, and for years I could eat anything without feeling any impact on my physical appearance, but as I got older and was spending more time behind a desk it was difficult to keep fit. So I started changing my lifestyle, by thinking about nutrition, exercise, and my mindset. One day I realised that other people must be going through similar things, so why not help them. And it all started falling into place. If you want to by some items that are full of goodness, enter the code PLANTSHIFT when you checkout and you will receive 20% off any product.